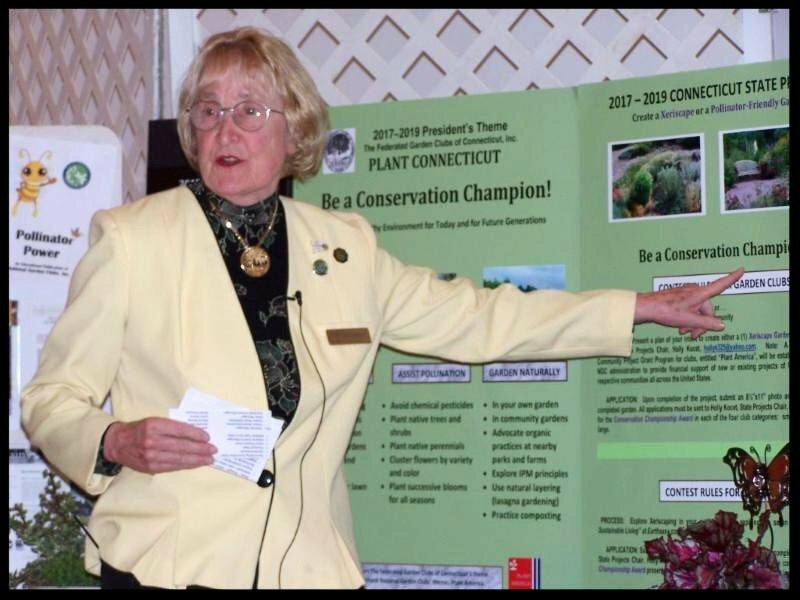 Inge, a native of Hamburg, Germany, and the 44th president of The Federated Garden Clubs of Connecticut, is a long-standing member of the Cheshire Garden Club. After having excelled in athletic events and performed as a singer on stage of major opera houses and concert halls, she completed her post graduate education in the sciences (biology and psychology) and spent her career in medical academia. There she came in contact with physicians and patients from every corner of the world – a bonus of great significance to her. She turned her boundless energy and enthusiasm to her half-acre property in Cheshire, transforming it into a natural 63-bed ornamental garden. She developed a passion for photography and has had more than 400 photographs published in area newspapers and magazines. She has served on the Board of The Federated Garden Clubs of Connecticut for 22 years, chairing numerous committees and guiding the Board as its Parliamentarian for the past 12 years.